The central defender has been linked with a Premier League move over the past few seasons with Chelsea and United among the leading clubs tracking his performances. Still, there has been no indication that Napoli would be willing to sanction his sale but the defender appears keen on pushing through an exit after changing his representative ahead of the summer. 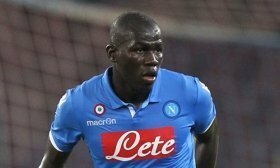 According to The Independent, Koulibaly's brother has been put in charge as the new agent after the dismissal of Bruno Satin, and it is believed that the centre-back is waiting on an approach from United. Manchester United are expected to pursue at least one centre-back to solve their defensive crisis. Harry Maguire, Raphael Varane and Toby Alderweireld are the other defenders on the club's radar for the summer.